The workshop will introduce computational techniques in analyzing biomedical data. Students will gain hands on experience on applying data mining algorithms to real life biomedical applications. Examples to be discussed will include the diagnostic prediction of cancer and the classification of diabetes. Students will work in groups to practice Matlab programming on these examples guided by the instructors. After participating in the workshop, the students will gain an understanding of the states-of-the-arts biomedical data mining methods as well as their limitations, which hopefully will inspire them to further their studies in these areas. Please bring your own laptop or tablet, if possible. Interested in learning how to visualize proteins? This workshop will teach students how to interact with commonly used protein visualization tools that help model the structures of important proteins in 3D! Throughout the workshop, students will be able to apply their knowledge of biology to identify key regions of a protein and design drugs that selectively disrupt activity of that protein. The techniques learned in this workshop will provide students with the foundation to explore and design treatments for other diseases, such as cancer and Alzheimer’s. This workshop will introduce students to PubMed, the UniProt Knowledgebase (UniProtKB), and protein sequence analysis tools, including protein BLAST and multiple sequence alignment. Students will use PubMed to search for articles about a protein of interest and then view the UniProtKB record for the same protein to gain an understanding of how experimental information from the literature is interpreted and presented in a curated bioinformatics resource. In the second part, students will use protein BLAST and multiple sequence alignment along with UniProtKB annotations to predict the function of an uncharacterized protein. The purpose of the mini science fair is to allow middle and high school students to think creatively, conduct background research, and develop a proposal for a unique solution that can help address important problems that face the medical field. Through this process, students will be able to think like scientists and learn how to make existing technologies even better. The theme for this first youth symposium is Global Health. This area is broad, but especially for the first conference, we want students to have room to explore their own interests and see how computational and engineering methods can be applied. Students can think about how computer science and engineering solutions can help address these diseases. The competition is not limited to areas mentioned above. Students can also explore solutions for better patient care for individuals with these diseases, or an easier way to learn about the symptoms and diagnosis for a disease. Apart from prizes for the top 3 (more or less depending on funding for awards) project proposals, we can also have awards for the best use of computer science or the best use of an engineering solution. Students will be able to form teams to help brainstorm and think of ideas. A few weeks before the symposium, the team will submit a brief abstract of their proposal. The abstract submission will take place on the symposium website. The Symposium organizer will have research scientists available to help guide the teams. At the symposium, there will be a time when teams will give poster presentations to various visitors at the symposium (family and friends) and will also present their idea to judges. The judges will score and determine the top projects, who will receive an award at the closing ceremonies. At the science fair, individuals or teams can present their project in a variety of ways. The different options include a trifold poster board, powerpoint presentation on a laptop, or even printed out images and notes as a supplement. Presenters are not required to have a trifold poster board, and can instead determine what presentation method is best for them. The symposium organizers will provide a table for each project at the science fair. Bourne's professional interests focus on service and research. He serves the national biomedical community through contributing ways to maximize the value (and hence accessibility) of scientific data. 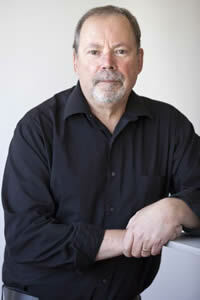 His research focuses on relevant biological and educational outcomes derived from computation and scholarly communication. This implies algorithms, text mining, machine learning, metalanguages, biological databases, and visualization applied to problems in systems pharmacology, evolution, cell signaling, apoptosis, immunology and scientific dissemination. He has published over 300 papers and 5 books, one of which sold over 150,000 copies. Click here for his website. Professor Bourne's presentation is available here. * Parents and friends are invited to attend the science fair as well as the closing ceremonies but the remainder of the day's events are for the students only. The Youth Bioinformatics symposium was inspired by a local high school student who attended ISMB, the flagship meeting of ISCB, in Dublin, Ireland. Prathik Naidu is a Junior at Thomas Jefferson High School for Science and Technology. After presenting at various conferences and science fairs, Prathik was inspired to create the Youth Bioinformatics Symposium in an effort to share with other students about the growing importance of using computer science to study biological data. Previously, Prathik was an intern at Johns Hopkins University for two summers, where he worked on projects ranging from developing algorithms to study genetic variations in different ethnic groups to simulating antimicrobial peptides using a supercomputer. He is now particularly interested in the field of cancer genomics and has conducted research on identifying new cancer mutation patterns from large amounts of genomic data. Outside of research, Prathik is the vice-president of his school’s Bioinformatics Society, where he has led various lectures and presentations on topics in computational biology. In the future, Prathik hopes to pursue a career that combines his interests in computer science, biology, and entrepreneurship. ISCB is grateful for Prathik's vision and passion and honored to work with him to make his vision a reality! ISCB would also like to thank the many member volunteers that came together to help produce the symposium. We gratefully acknowledge their efforts, time, and dedication to the society and the field. The International Society for Computational Biology (ISCB) in partnership with George Mason University, George Washington University, and Georgetown University, hosted the inaugural Youth Bioinformatics Symposium (ISCB-YBS), Exploring Computational Biology on June 5, 2016, at George Mason University. Nearly 100 students from the greater Washington DC area gathered for this complimentary event. The engaging one-day event introduced students to the amazing world of computational biology, allowing them to engage with and learn about three popular tools used in research in our hands-on workshop, inform them of the many career areas that bioinformatics is now appearing in, and spark the spirit of competition in our team-based mini science challenges. ISCB would like to thank all of the many volunteers who made this happen! Click here for symposium photos.